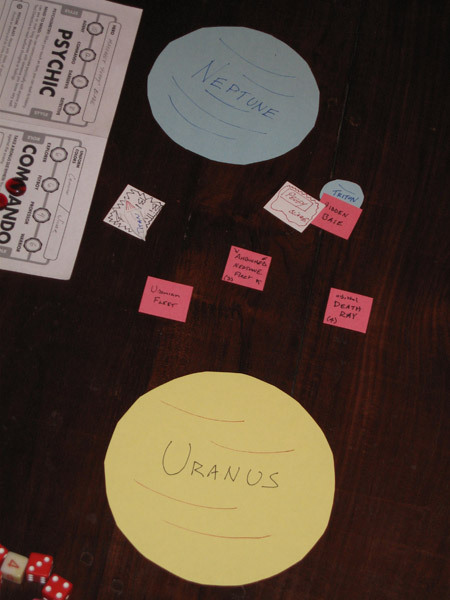 ars ludi » For Neptune! For Freedom! Can the ‘seidonians throw off the yoke of the invading Uranians, the cold war puppet satellite of the tyrannical Crimson Republic? This is easily one of my favorite one-shot sessions that I GM’ed. I posted the game summary on another forum and never linked it here, a crime whose correction is long overdue. The actual account of the game starts about ten posts down.